Theaterproject with Linzgau Kinder-und Jugendheim e.V. In a 6-week theaterproject students of the Janusz-Korczak-Schule were busy with theater games, theater sport, impro and roleanalysis. They created their own presentation, which was a collage of scenes based on the successful German movie "Fack u Göthe". The presentation took place in the lobby of the school. 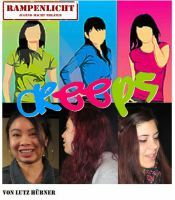 For the 2015 Production, the youths chose the play "Creeps" by Lutz Hübner. Performances in the Atrium Theater were on 17th/18th/24th/25th April. The play reflects the MTV-Generation of the late 1990s, however, it also points out what influence the media has on the young generation. The Musiktheater Friedrichshafen has chosen a musical fpr their 2015 production - Fiddler on the Roof. I was engaged for the choreography and enjoyed working with the cast and choir. The performances in March were a freat success. The 2014 production was Michael Ende's "Momo", adapted for the stage by Vita Huber. In addition to the youths of the group we also had 4 children and some adults joining us. Therefore it was more a multiple generation theater, which we all enjoyed very much. The performances were 23.03., 28.03. and 29.03.2014 in the Atrium Theater in Friedrichshafen. The Musiktheater Friedrichshafen e.V. is a registered society. They present operas or operettes every 2 years. In March 2013 they performed Georges Bizet's "Carmen". I was responsible for the choreography in this production. Ther performances were very impressive. Within the scope of my training as drama teacher I had to serve an internship as assistant director. I absolved this internship at the Landestheater Tübingen (LTT). I worked with Ms. Uschi Famers and a group of women (seniors). A play was created based on the children's book "Die fürchterlichen Fuenf" by Wolf Erlbruch titled "Schön war Gestern". The project ran until the beginning of 2014 and premiered on 10th January at the LTT. Within the scope of my training for drama teacher I had to carry out and present a project, which was my interim exam, including an exam paper on the process of the project. The youth theater group Rampenlicht rehearsed and performed the play "Verboten für Kinder" by Vera Achatkin (translated by Klaus Fermor and supported by Volker Quandt). The performance dates were 20.01., 25.01., 30.01 and 01.02.2013, 19:30 h/each evening. The play was not presented in the Atrium Theater this time, but in the cinema "Kino Studio 17," Kulturhaus Caserne, Fallenbrunnen 17, Friedrichshafen. In November 2012 the play "The House on the Cliff" by Gerge Batson was presented in the Atrium Theater in Friedrichshafen. The role analysis workshop was carried out by Theaterwerk Bodensee. I also directed the play. In Spring 2012 the play "Out of Sight, Out of Murder" by Fred Carmichael was presented in the Atrium Theater in Friedrichshafen. The role analysis workshop was carried out by Theaterwerk Bodensee. I also played a role in this piece. 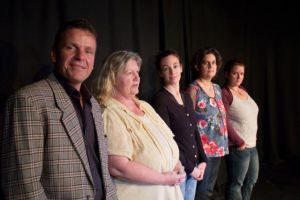 In autumn 2011 the play "Fish out of Water" by Derek Benfield was presented in the Atrium Theater in Friedrichshafen. The role analysis workshop was carried out by Theaterwerk Bodensee. 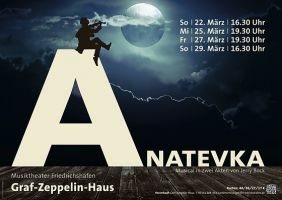 A musical for the 200-year anniversary of the city of Friedrichshafen. I was responsible for the choreography. 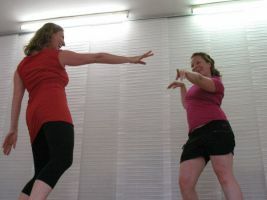 The performances in September 2011 were a great success! What would the internet look like in the real world? 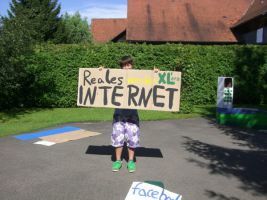 Young people in Bermatingen thought about this in August 2011 and prepared a short stage presentation.